New Win-A-Mat at YCS Niagara Falls! There’s a new Win-a-Mat Tournament prize here in Niagara Falls, and it’s absolutely beautiful! 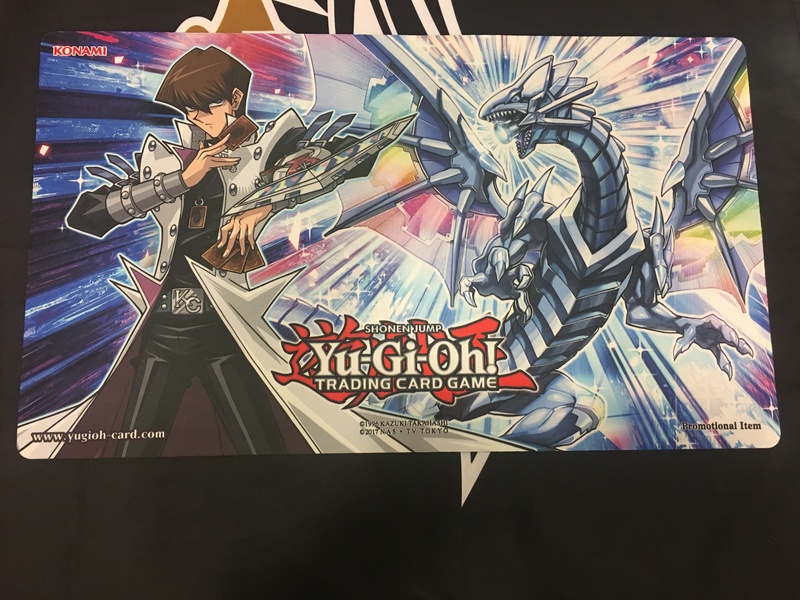 The new Win-a-Mat Game Mat features Seto Kaiba and the brand-new Blue-Eyes Solid Dragon from Legendary Duelists: White Dragon Abyss. The color scheme for this Game Mat is gorgeous, and Duelists present here in Niagara Falls this weekend will have the first opportunity to win this incredible Game Mat. If you couldn’t make it out to Niagara Falls this weekend, don’t despair – this new Win-a-Mat Game Mat will be available at future events as well. Saturday’s ATTACK OF THE GIANT CARD!! Winner! Congratulations to Saturday’s ATTACK OF THE GIANT CARD!! Tournament winner! ATTACK OF THE GIANT CARD!! Tournament Prizes! The winner of Saturday’s ATTACK OF THE GIANT CARD!! Tournament will choose between GIANT copies of two of the most competitive Secret Rare cards in Soul Fusion. Check out the two new GIANT cards available as prizes in this weekend’s ATTACK OF THE GIANT CARDS!! Tournament! Check Out the New Regional Game Mat! Check out the new Regional Game Mat available for Duelists to win in this weekend’s Regional Qualifiers and Dragon Duel Public Events! It’s a colossal hit! Congratulations to our winner of the Public Event Playoffs for randomly selected players in Public Events this weekend! Congratulations to our Top 4 finishers in Sunday’s Duel Links tournament! 200th YCS Columbus: Sunday ATTACK OF THE GIANT CARD!! Winners! Congratulations to the winners of the Sunday ATTACK OF THE GIANT CARD!! tournament! Check Out the Duel Links Prizes at the 200th YCS in Columbus, Ohio! For the first time ever at a Yu-Gi-Oh! Championship Series event, Duelists can compete in a Duel Links tournament to earn cool prizes! 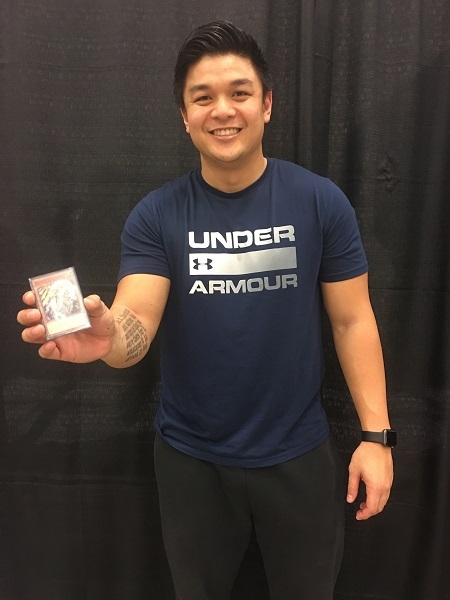 200th YCS Columbus: Duel Links Saturday Winners! Congratulations to our Finalists in our first-ever Duel Links Public Event! 200th YCS: ATTACK OF THE GIANT CARD!! Prizes in Columbus, Ohio! Check out the prizes in this weekend’s ATTACK OF THE GIANT CARD!! Tournaments in Columbus, Ohio!